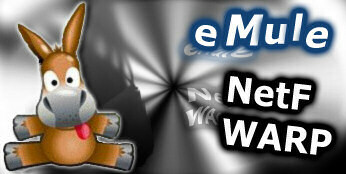 This Mod is an attempt to revitalise the best parts from the NetF Mod to provide an easy to use but yet powerful eMule client. - Redownload only data of banned clients might cause looping downloads or complete stalls if corruption occurs and NetF fail the recovery process. - Fakealyzer has cosmetic issues after the merge with 0.49c code base.